In 1769, James Cook called the tea tree a medicinal wonder with an ‘agreeable bitter taste’, but New Zealanders call their Manuka trees life savers. Manuka oil is derived from the Manuka tree that grows primarily in New Zealand. Its active ingredients, Triketones and Sesquiterpenes, are anti-fungal, anti-viral, anti-septic and anti-bacterial. The oil of the Manuka tree is even successfully fighting MRSA bacteria, also known as Methicillin-resistant Staphylococcus aureus, or staph. A skin disease which can cause mild to a fatal infection, skin rashes, boils, redness, and itching, MRSA isn’t always deadly, but it can be. Thankfully, recent scientific studies show that manuka oil can not only prevent MRSA, but treat it as well. In fact, the oil has been shown to be more effective than many pharmaceutical antibiotics, prescribed by doctors to treat MRSA. The oil can also alleviate symptoms from everything from anxiety to eczema. In addition to being a potent answer to drug resistant bacteria like MRSA, another study published in the journal Microbiology found that honey – particularly that derived from bees foraging on manuka flowers – halted one type of streptococcus pyogenes from inhibiting the healing of wounds. 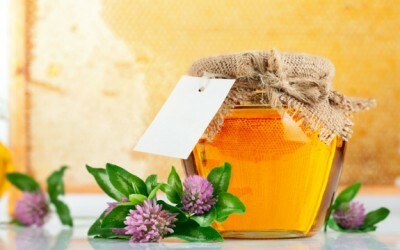 Over the years, staph has been treated with a drug called methicillin, but the ailment has become increasingly immune to that drug’s ‘medicine.’ Manuka honey and oil are common natural therapy replacements that are offering a surprisingly fast and efficient way to cure the staph bacterial infection as well as other fungus, and virally transmuted diseases. It was once even used in a decoction to treat urinary ailments. Chewing on the bark can induce a peaceful mind and restful sleep as well. Even better, Manuka trees flourish well without the use of pesticides, and the evergreen grows throughout the year. It can be found in tinctures, teas, honey, and oils, and is easily digestible or used topically. You can get manuka oil in many places, but one easy way to utilize manuka is by eating some manuka honey. The health benefits of honey are astounding not only for fighting and preventing infection, but also for boosting overall health. FOR WOUNDS SIMPLE regular SUGAR CAN WORK (before is infected) especially for diabetic wounds. to heal it. it will not work if you wait until you have an infection. I have used Manuka honey for years and love all of the benifits. I was disappointed tho when I used it on a cut that got infected. It did not start to get better u til until I went to the doctor for an antibiotic cream. I use to tell friends and family to always try Manuka honey first but in my case, it did nothing. All honey does have antibiotic properties. However, none as strong or effective as Manuka. My son got a staph infection on his leg. We used regular raw honey with little effect. But only one application of the Manuka resolved the open wound almost completely. nlike antibiotics, which work only on the second generation bacteria, honey kills all bacteria that it comes in contact with simply by dehydrating it.